Disney has severed ties with PewDiePie after the YouTube sensation posted numerous videos that contained anti-Semitic jokes in recent months, reports The Wall Street Journal. The publication noted that PewDiePie, aka Felix Kjellberg, had nine videos dating back to August 2016 containing such content on his channel. He’s garnered a following of more than 53 million subscribers over the span of his career. The most recent one, from last month, showed two shirtless men laughing as they held up a banner that read, “Death to All Jews.” PewDie has since removed the clip, but you can see an excerpt from it on this page. In a blog post from earlier this week, PewDiePie said that the idea behind the video was to show that you can have completely absurd requests fulfilled on Fiverr, a site that lets you hire people and avail of services like enacting a skit or recording a voiceover for a flat fee. “I am in no way supporting any kind of hateful attitude,” he wrote. 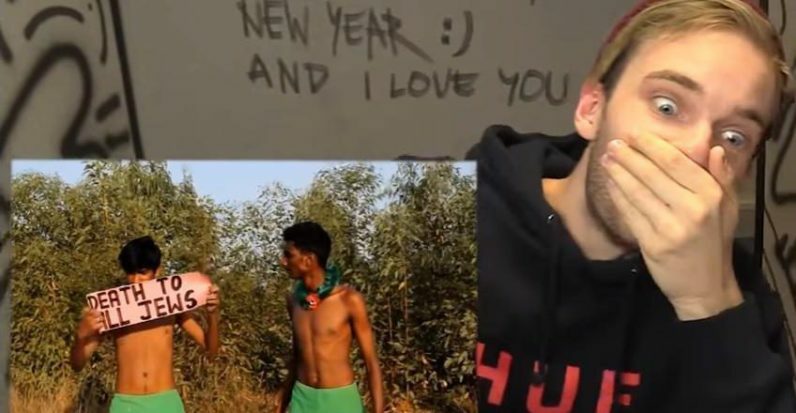 “Although Felix has created a following by being provocative and irreverent, he clearly went too far in this case and the resulting videos are inappropriate,” said a spokeswoman for Disney’s Maker Studios, which partnered with PewDiePie last January to launch his own video network, Revelmode. Disney’s reaction to PewDiePie’s content isn’t surprising. The world we live in is now much more easily triggered by messaging that might rub people the wrong way, and a company that has a massive audience of children and families around the globe can’t easily condone the sort of content that its viewers would most likely take offense with. That doesn’t make the company’s decision right; I only mean that the issue it took with PewDiePie’s videos is obvious. I make videos for my audience. I think of the content that I create as entertainment, and not a place for any serious political commentary. I know my audience understand that and that is why they come to my channel. Though this was not my intention, I understand that these jokes were ultimately offensive. If content is intended to be provocative or satirical, it may remain online. If the uploader’s intent is to incite violence or hatred it will be removed. Hitching your wagon to a family-friendly entertainment company may not be the best way to go about it. It isn’t PewDiePie’s first brush with controversy: As recently as last August, he was suspended from Twitter for making a joke on the site about joining the ISIS terrorist group with a fellow YouTuber. PewDiePie likely won’t have to worry about the tanked Disney deal significantly damaging his career. He already reportedly makes more than $14 million a year from video ad revenue, sponsorships and public appearances, and has the largest following of any YouTube star in the world: A whopping 53 million subscribers. Whether you care for his material or not, it seems like he’ll be just fine. Update 02/14: The Verge is reporting that YouTube is also cutting business relationships with their homegrown star. The release of the second season of his series Scare PewDiePie, paid for by YouTube Red, has been cancelled. He’ll also be losing his status in the Google Preferred advertising program, which means he’ll be parting with quite a large chunk of his income. PewDiePie will keep his 53 million subscribers and still be able to rack up some dough with normal advertising on YouTube.